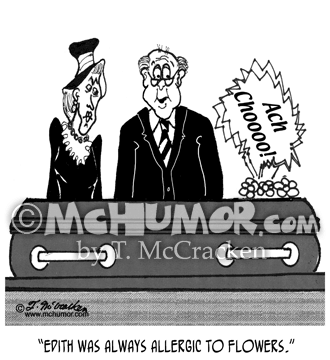 Allergy Cartoon 3809: As an achoo coming from inside a coffin, a man says, "Edith was always allergic to flowers." 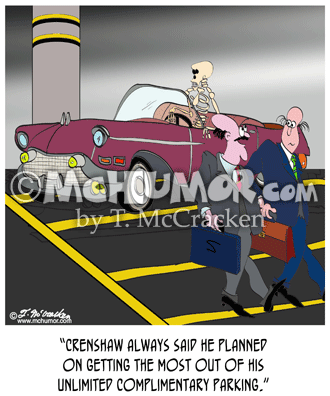 Parking Cartoon 8608: An executive in a parking lot passing a car with a skeleton at the wheel says, "Crenshaw always said he planned on getting the most out of his unlimited complimentary parking." 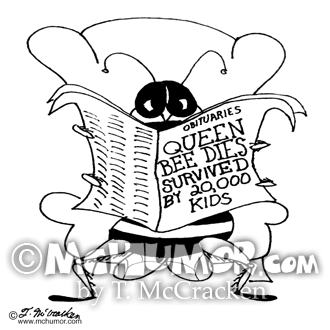 Bee Cartoon 2886: A bee reading obituaries sees one, "Queen Bee Dies, Survived by 20,000 Kids." 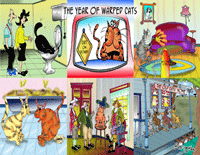 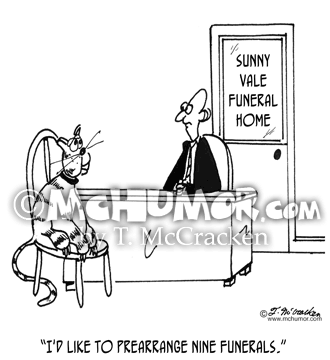 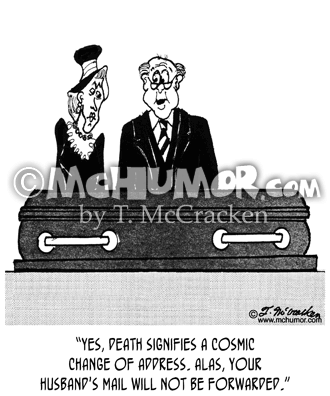 Funeral Cartoon 2464: A man looking at a coffin says to a woman, "Yes, death signifies a cosmic change of address. 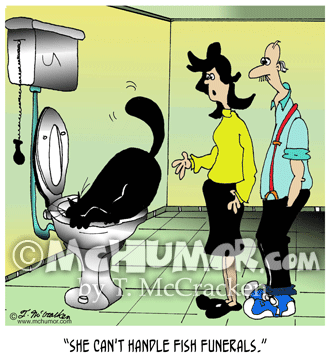 Alas, your husband's mail will not be forwarded." 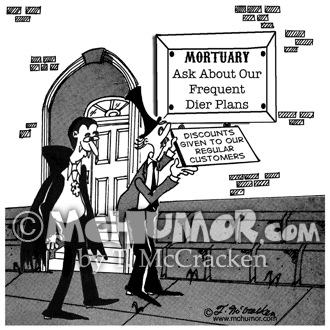 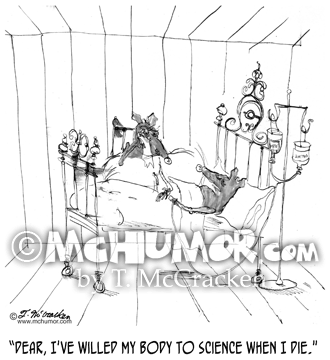 Rat Cartoon 1076: A lab rat lying sick in bed says to his mate, "Dear, I've willed my body to science when I die." 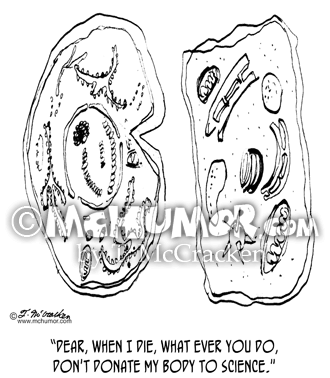 Amoeba Cartoon 1077: An amoeba says to to his mate, "Dear, when I die, what ever you do, don't donate my body to science."